It’s the time of year when all your work in the garden finally pays off and you get to harvest your crop – and our Harvesting Essentials Collection makes it easy. The collection includes a Quicker Picker, a Berry Picker and a Harvesting Knife. The Quicker Picker makes it easier to reach apples, pears and plums without a ladder, and includes a cotton bag. The Berry Picker takes the fiddly bit out of picking currants and berries. Harvest up to ten times faster than by hand. The Harvesting Knife enables asparagus spears to be easily cut below the soil level, and it’s ideal for use in a kitchen garden or on the allotment. The Harvesting Essentials Collection makes it quicker and easier to harvest your produce, and it’s one of those kits that you’ll wonder how you did without! 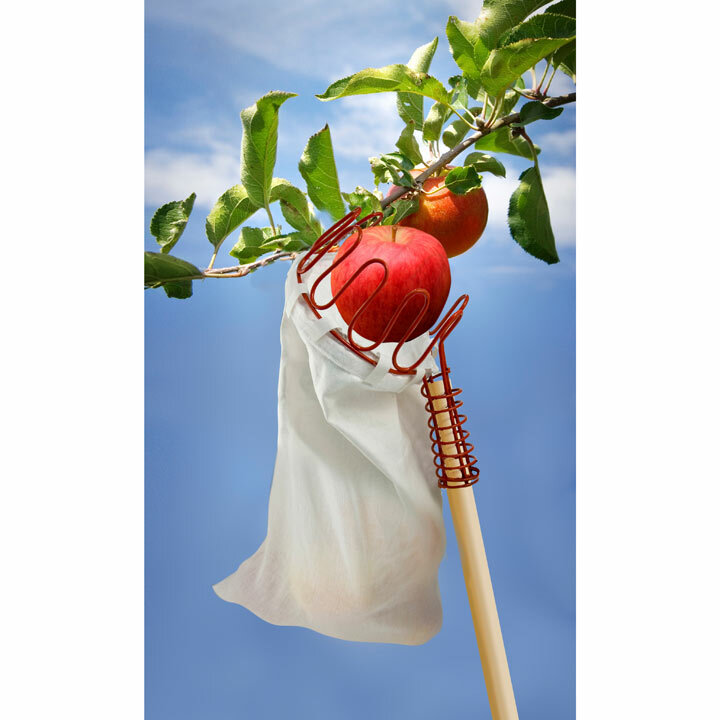 Quicker Picker - Speeds up the picking of your apples, pears and plums. Helps you easily reach out-of-the-way fruit without the need for a ladder. Made from powder coated galvanised steel, with a cotton bag large enough to hold around a kilo of fruit, you can use it on its own or attach it to a standard 2.5cm broom or telescopic handle (not supplied) for extra length. A quick twist of the wrist and the fruit is in the bag! 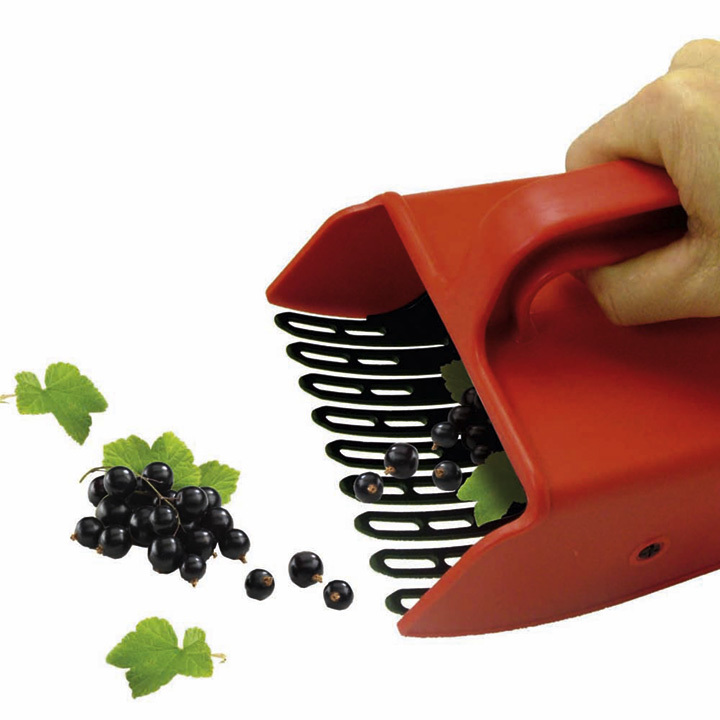 Berry Picker - Anyone who has ever gone through the fiddly process of picking currants or berries will find this clever gadget a joy to use! It has a comb that separates the berries from the stem in a simple brushing motion, and collects them, which means you can harvest up to ten times faster than picking by hand. Can also be used for dead-heading flowers. 14cm (5½") wide x 22cm (8¾") deep x 13.5cm (5¼") high. 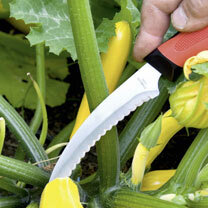 Harvesting Knife - Use this sharp knife specially designed to enable asparagus spears to be easily cut below soil level! Ideal for cutting cabbages and courgettes, trimming leeks, and general kitchen garden and allotment use, with a razor sharp serrated and scalloped stainless steel blade for easy cutting, soft comfort grip handle and slim profile tip for hard to reach places. Length 26.5cm (10½").